Subway's latest deal lets you pick up a Footlong Steak & Cheese sub for $6 for a limited-time at participating locations. 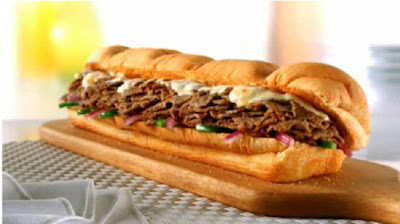 The Steak & Cheese (here's my review of it) features steak plus your choice of cheese, bread, veggies, and condiments. It's normally among Subway's pricier subs. The duration of the deal isn't specified and it's not tied to a specific day, like their current $3.50 Sub of the Day, or to a month, like when they had monthly $5 Footlongs.